Often, when we think about living in recovery as it relates to mental illness, we look at it as an elusive point at the end of a long road. With a combination of different types of treatment, recovery becomes a journey and that journey can take individuals to a healthy and productive life. Tim can testify to the trials and triumphs of working toward recovery. The staff at the National Alliance for Mental Illness (NAMI) Living Room first met Tim when he stopped in as a guest at the facility in La Grange. He went to the Living Room looking for support as he worked on his own recovery goals. As with every Living Room guest, Tim came to us with a story. His was of experiencing twenty years of depression in "bad places" and "mental prisons." Today, after some peer counseling at the Living Room and a great deal of individual work, he is starting to come out of his shell and entering the world of advocacy. Tim put it best when he said, "For eleven years it was me trying medications. The term I like to use is 'treading water.' I was getting by with life but I wasn't living life. It gets to the point where your hope is gone and you think it could lead to eventual suicide." 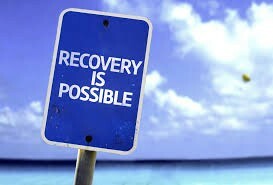 He shared with a Certified Recovery Support Specialist at the Living Room what it means to him to be in treatment. "The biggest thing was finding a doctor who was open to different things. The most frustrating thing about this process has been the trial and error. Failures diminish hope and optimism. Being with a good psychiatrist helps." Tim shared how he is doing in the present moment in his recovery. "I have an optimistic view. Because of my illness... I'm 32....right now I can kind of reinvent myself. If I can help just one person through advocating or speaking, nothing would give me greater joy." Tim has discovered the secret that when people are advocating for others, it not only takes the focus off self-analysis, it also feels good to help someone else in need. Tim is a true example of advocacy and recovery in action. As the new year begins, we encourage those in our community to find their passion and become advocates. If you can help someone else on their journey, do so, and if you need help yourself, reach out and find what you need.